I had heard of Lisa Morgan for years and have wanted to take one of her classes for a long time. 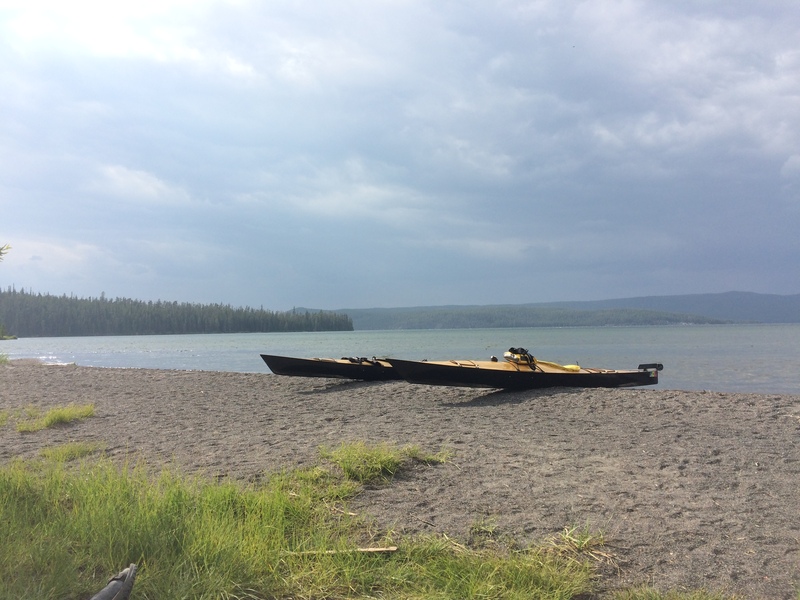 This summer it finally worked out, though now I hope to take another, and another, and… Lisa has the distinction of mapping the bottom of Yellowstone Lake. While this class emphasized post caldera flows and glaciation, I hope to take her Yellowstone Lake geology class some year soon. Lisa is energy and passion personified when it comes to geology. Some of her recent Yellowstone research has been to age the post-caldera lava flows. She approaches these rocks with an open mind which has enabled her to dig in deeply to the why, how and when of the lava flows which have given Yellowstone the topography it has today. Each morning we left the Lake Village area and headed into the field. We climbed onto the Pitchstone Plateau, created by the most recent (70,000-75,000 years ago) lava flow in the area. We looked at rocks and flows and imagined thick rhyolitic flows inching across the landscape thousands of years ago. Farther north, near Tower Fall, we observed older basalt flows and imagined their juicier more liquid movement filling ancient riverbeds. We climbed the steep-sided rhyolitic flows near Old Faithful and wandered among other flows along the Yellowstone River. Each day was a new experience, and I loved seeing Yellowstone through the eyes of a volcanologist. Since the class, I look at the land differently, trying to imagine the creation of the hills, ridges, mountains, and cliffs. The class was full with 12 students, Lisa and the Program Volunteer, Fred. Not a‘bad apple’ in the bunch, everyone had good humor and asked good questions or made interesting observations. Lots of laughter, curiosity, and just general joy at being in Yellowstone with Lisa Morgan made for a great four days. 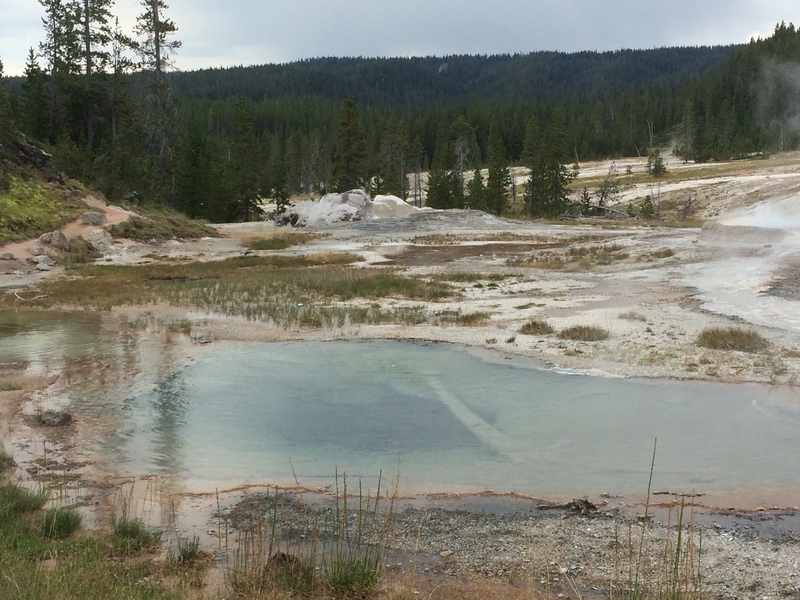 So… here is part of the Yellowstone Geology story: 630,000 years ago…. No, let’s go back further. Let’s go back about 17 million years. About that time, a plume of hot magma that today we call the Yellowstone Hotspot first poked through the North American Plate, erupting as a volcano along the Oregon/Nevada border. Every few million years after that, as the North American Plate inched to the southwest over the hotspot, the volcano would erupt through the plate. Imagine holding a lit candle under a piece of paper. As you pass the paper over the candle, each time you hesitate, the heat of the flame burns through the paper. The movement of the plate is like the paper sliding over the burning candle of the hot plume of magma. As the plate moved over the hotspot, the land rose, pushed up by the heat, then as the plate moved off the hotspot, the land subsided. Today’s Snake River Plain in Idaho is evidence of those early volcanoes. The Plain acts as a funnel, directing prevailing weather over the Yellowstone Plateau (the area now pushed up by the hotspot), where rising air cools and drops any moisture held by clouds. So I can thank the Yellowstone Hotspot for the winter snows over which I slide my skis. Yellowstone’s National Park’s topography has been created by a series of events: 2.1 million years ago the magma plume was under today’s Park. The explosive eruption called ‘Huckleberry Ridge’ spewed ash over thousands of square miles. It is one of the largest eruptions known to have occurred on our planet. 1.3 million years ago a second explosive eruption occurred, and 630,000 years ago the Lava Creek eruption happened. This more recent eruption ejected 2400 times more material (called ejecta) than Mt. St. Helens in 1980, and created Yellowstone’s major caldera, though remnants of the earlier eruptions have also left their mark on the Park’s landscape. 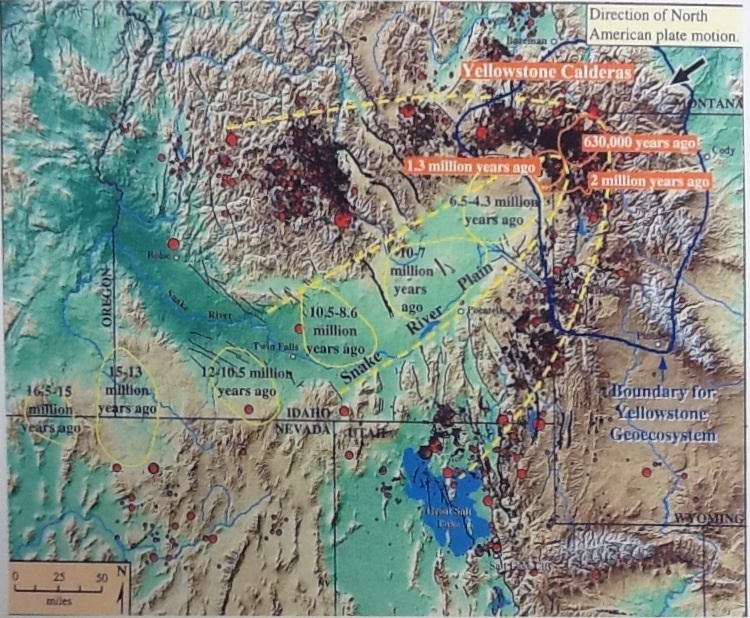 The three large volcanic eruptions of the Yellowstone Volcano. In the last 630,000 years, there have been about 70 lava flows and other smaller explosive eruption events. 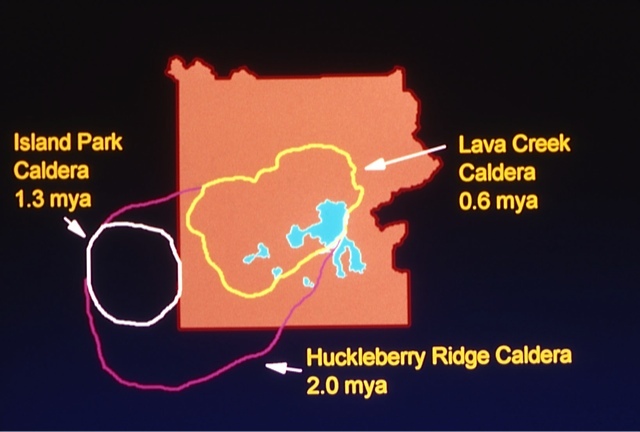 (West Thumb on Yellowstone Lake is a caldera within a caldera.) 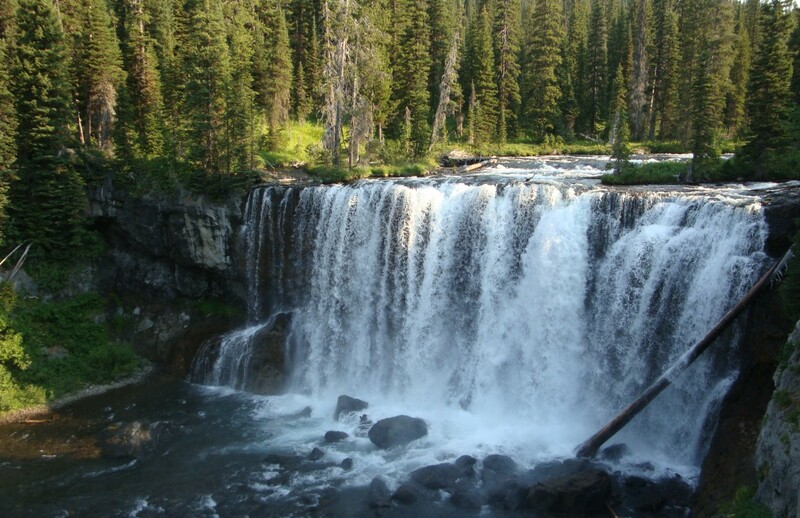 The lava flows have filled in much of the Yellowstone Caldera and periods of glaciation have polished and etched the landscape. That is the story in a quick nutshell. There is more. Much more. We could go back even further to the Absaroka Volcanics. We could go back to an ancient ocean, even further. We could travel through the Park and look at glacial moraines, hydrothermal explosions. We could climb steep-sided lava flows and hike along rivers that flow between lava flows of varying ages. We could spend entire lifetimes exploring the geology of the Park. Next week I will be kayaking into Shoshone Lake. There will be tree-covered lava flows, a thermal basin, and of course the lake. 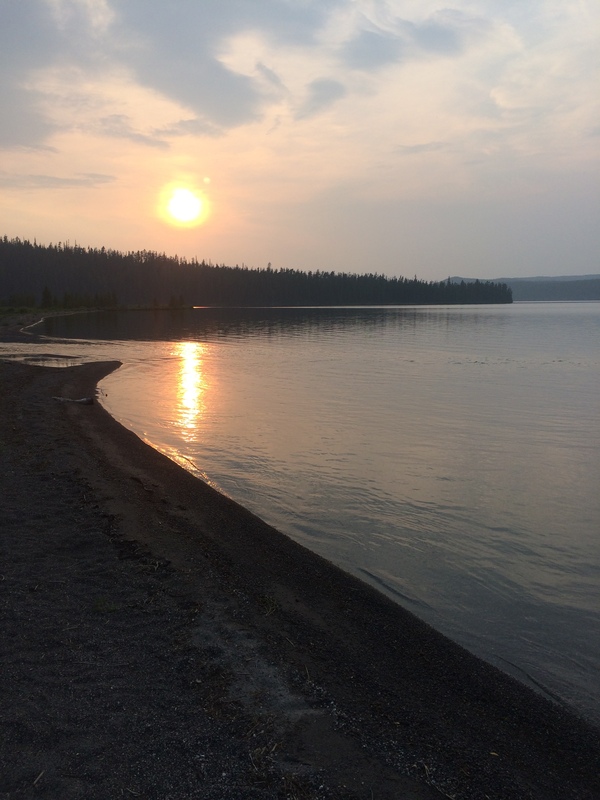 I will ponder questions: is Shoshone Lake a water-filled caldera? Where is the start point of the flow next to the lake? Is this low swampy area the line of an old riverbed from the melting of the last glaciation? Thanks to Lisa Morgan: your knowledge and passion have rocked my world, given me new geology eyes and more questions to consider, discuss and research. That would have been so interesting. Geology has always fascinated me, and all the different activity in Yellowstone makes it so interesting. Lisa is a treasure! She breaths life into rocks. And your gift, Julianne, your distillation of shared experience into artful words has wonderfully chronicled four days of passionate geologic exploration informed by the truly inspiring passion, research and non-stop energy of Dr. Lisa Morgan. Science and passion in a joyous marriage – Lisa is the real deal. I’m so happy, Julianne, that you had a good seat on the bus. Love this, my dear, as usual. Two things bounced around in my head as I read. First, my preference for the sentence where you tell of the Yellowstone Hotspot first poking through the N.A. plate, I might’ve said, “…along what is now the OR/NV border,” just to reinforce that that hotspot is “stationary” as the plate moves along over it. Minor thing. Second, I remember the other one of two of us who were the first to graduate from Adams State College (now Univ.) way back when with their “new” double major – biology and environmental science. Steve Schomaker (sp?) and I, of course, shared a ton of classes and field trips. We both began in biology and then added on the environmental science courses which, of course, included geology. Steve had LOVED biology and its related field trips, but once we did our “grand” geology field trip around the Southwest, culminating with our overnight hike to the campground near Phantom Ranch at the bottom of “the” Grand Canyon, Steve began saying how much he loved geology and the “biology” (trees, shrubs, plants of all kinds that covered the land) got in the way! I expect Steve would’ve loved hearing Paul Doss talk about the geo-ecosystems. 😉 Thanks, again, Julianne for sharing your “new eyes” view of that special place. I would love to take this class. I loved the Landscape Geology and Thermal Geology classes I supported this summer. I no longer look at my landscape through the same eyes. I wish everyone had the opportunity to take some of the field seminars Terry and I supported this summer. I look forward to spending time in Yellowstone again next summer. Thanks so much for this great post Julianne. You are most welcome, LuAnn. Taking classes always gives me new eyes for this Wonderland. I am so glad you are returning next summer!